The Yamaha R15 presents itself as an all rounded motorcycle, with its strong handling characteristics and reliability. No wonder why it has been a popular choice for many, not only in India but in many other international markets as well, including the likes of Indonesia and Thailand. The only let down of this motorcycle, however, is the rather small 150 cc engine, which is not big enough to obtain more power out of. That seems to have not stopped anybody from going beyond, in the video, we see an R15 which has been given some serious modifications to reach speeds of up to 180 kmph! Now that is indeed fast for a single cylinder, 150 cc motor. To obtain such massive power gains, just a new filter and exhaust do not cut it. This bike also has been fitted with a turbocharger for the extra amount of boost. A turbocharger is essentially a device which can help to achieve a higher power output from a relatively smaller engine. This is done by using the exhaust gases coming out of the engine and to spin a turbine which pushes extra, pressurised air to the engine. With more air available, more fuel can be burnt to achieve a higher power figure. Common in cars nowadays, they are rarely seen on 2-wheelers. 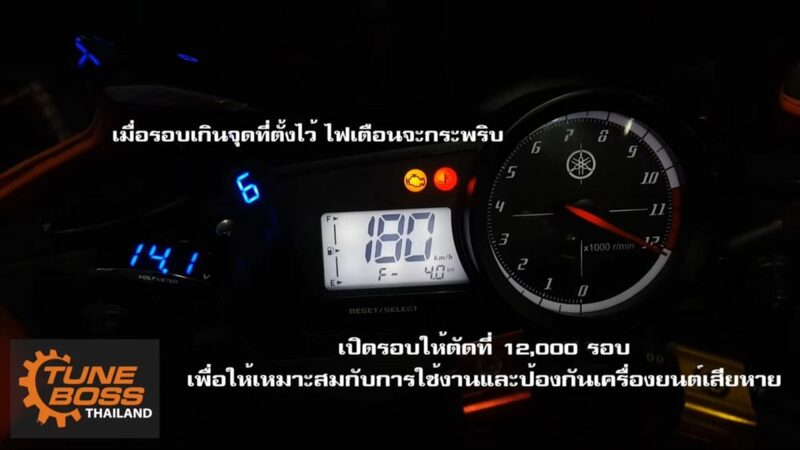 The ECU also seems to be remapped as the motorcycle now goes all the way till 12,000 rpm. In the video, we the motorcycle strapped onto a dyno, ready to unleash maximum power and hit maximum velocity. With all these modifications, the motorcycle produces a respectable 22.9 horsepower, on the wheels. 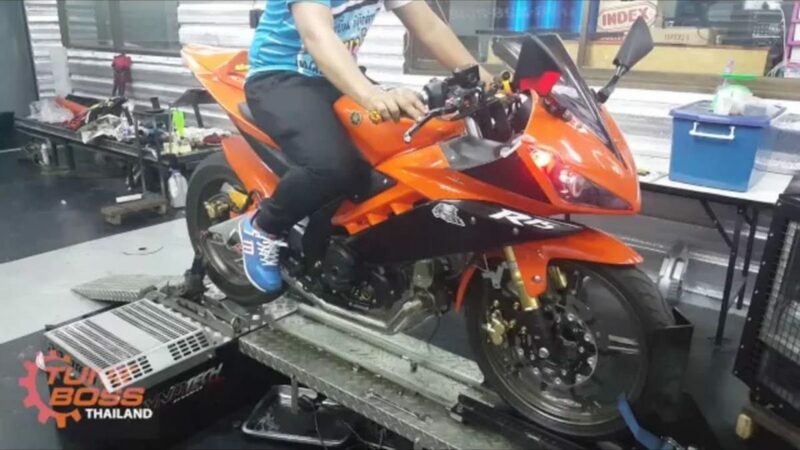 When let loose on the dyno, the bike manages to hit a top speed of 180 kmph. However, do bear in mind that this speed would not be achievable on the road as there would be much more resistance like the wind and tyre friction, a realistic top speed would be much lower. Do have a look at the video linked below and let us know what you think in the comment section of our social media pages.